Save yourself from the disappointment of flat soda. 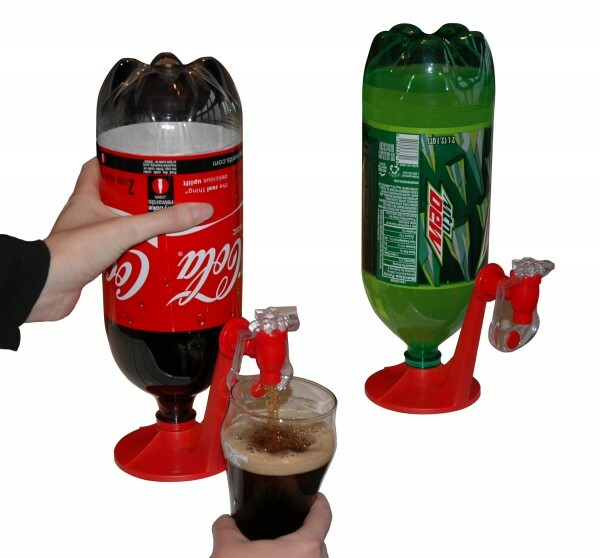 The Fizzsaver keeps your soda carbonated from start to finish. The Fizzsaver keeps 2-liter beverages carbonated and dispenses them right from your refrigerator. Simply twist the Fizzsaver onto the top of any 2-liter bottle of soda, invert the bottle in your refrigerator door, and then dispense drinks right into your glass using the tap. The fizz will last until the bottle is empty. Keep the Fizz in your soda.